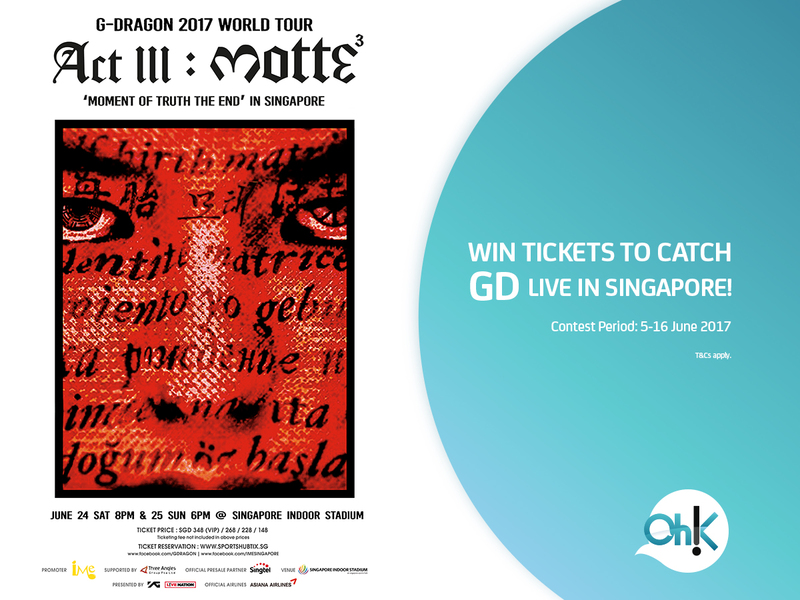 G-Dragon 2017 World Tour Act III, M.O.T.T.E will be held in Singapore on 24th and 25th June at Singapore Indoor Stadium. 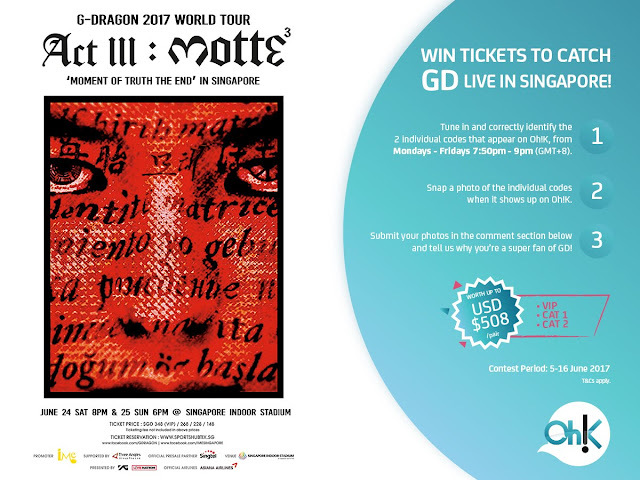 If you are one of the V.I.Ps who is desperately looking for a chance to watch this highly anticipated concert for free, drum rolls as Oh!K (Astro Ch 394) is giving a pair of VIP, CAT1, and CAT2 concert tickets worth RM2,000! 4. Submit the photos of both codes under the comments on Oh!K TV Asia's Facebook Page here: Oh!K TV Asia with a short description on why you are G-Dragon's super fan! *This contest is open to viewers in Malaysia (Astro CH394), Singapore (StarHub Ch 816 & Singtel Ch 525/611) and Indonesia (Transvision Ch.320 & Tribe).